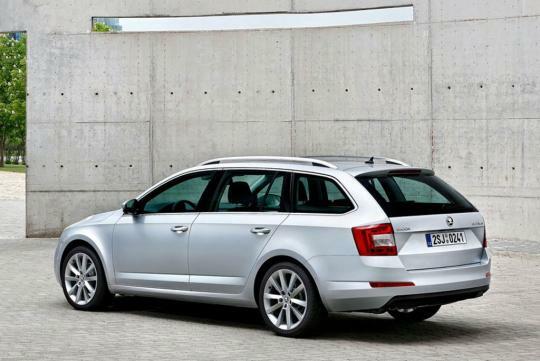 After revealing the third generation Skoda Octavia towards the end of 2012, the Czech automaker has recently released the official photos of the Combi variant. The estate model will be making its global premiere at the 2013 Geneva Motor Show alongside with the four-wheel drive version. The new Octavia Combi has significantly increased proportions, boasting a 110mm longer wheelbase along with a 90mm longer and 45mm wider body as compared to its predecessor. Available boot space is increased to 1740 litres with the rear seats folded. 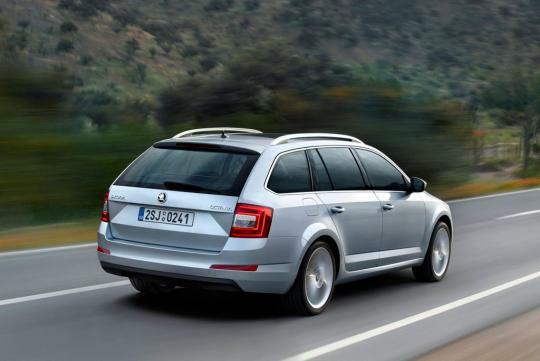 Skoda commented that the Combi will get a selection of turbocharged petrol and diesel engines that is similar to the Liftback. The Liftback�s petrol lineup ranges from the 86bhp 1.2-litre to the 180bhp 1.8-litre. Diesel options include the 1.6 TDI with 90bhp or 105bhp, and the 2.0 TDI generating 150bhp. The GreenLine version of the new Skoda Octavia (1.6 TDI) achieves very low CO2 emissions of only 89 g/km and consumes a mere 3.4 litres of diesel per 100 km.